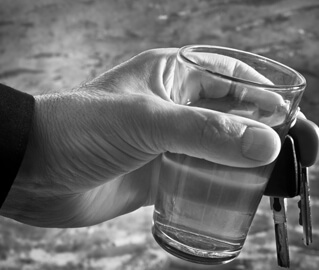 If you were charged with DUI or repeated traffic violations, your driver’s license may have been revoked. We understand how crucial a license is to your daily life and the anxiety surrounding a revocation. If you are looking to reinstate your driving privileges, the attorneys at Gullberg, Box, Worby & Rogers LLC can provide the guidance you require. Our firm has represented clients in license reinstatement hearings since 1990. We understand how to formulate a successful argument and are prepared to guide you through the intimidating process. Our firm will carefully evaluate your situation and help you pursue full or limited driving privilege reinstatement depending upon your situation. Are you looking to restore your driver’s license? Call us for the dedicated counsel you deserve at 309-734-1001. We assist clients in west central Illinois and eastern Iowa, with offices in Peoria, Monmouth and Bettendorf. After your license is suspended, it is extremely helpful to have an attorney’s representation at your reinstatement hearing. Every license suspension or revocation has a unique set of circumstances that must be addressed. We can help you request your administrative hearing and provide a persuasive appeal for your success. As your legal representation, we will present persuasive arguments why your driving privileges should be reinstated. We can also help you demonstrate how you have remedied any issues that led to revocation or suspension. This may include successful completion of an alcohol treatment program after a DUI or other court ordered requirements. Our lawyers have extensive courtroom experience, and we understand how to thoroughly meet the court’s requirements for reinstatement. Call our office at 309-734-1001 to discuss the facts of your case and options with our qualified legal team. You may also contact us online. Your initial consultation is free, and there is no obligation to hire us after the consultation.